Rush Limbaugh, love him or hate him you know about him. He has been master of self-promotion and leveraging people and events to further, well, him. He is currently in hot water due to some comments I won’t repeat here, but you can read the story here. Self-promotion. It is a doubled edged sword. How much is too much? Is there too much? I don’t know about too much, in the words of a friend of mine, “Always be pimpin’…” But this event does point out an important issue about how you promote yourself, and where you promote yourself, and what you do to promote yourself. 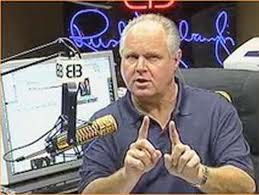 Rush Limbaugh is a media guy, his job is talking and he screwed it up, how easy can it be for you? So if we break down the issue, Rush Limbaugh’s problem was not so much what he said, but that Rush made it personal about someone. Most people who are convicted for stock and securities issues are actually convicted for lying. Rush Limbaugh is being convicted in the court of public opinion because he did not rectify the issue immediately and to the injured parties’ satisfaction. How often do we fail to do that, even with non-social media issues? I’m a firm believer in sharing. I have one public identity on many different platforms. Facebook, LinkedIn, Google+, Twitter, I even Blog ;-). I rarely post to a small group of people, I make my comments public. I guess I am who I am. The world is changing and it will be harder and harder to do business without a social presence. So my guidelines? Post. A lot, about everything you are interested in. People like to do business with people they like. The more they know about you, the more they can like you. Believe what you post and be ready to defend it. Create most of your own content. Treat a social media comment the same as you would deal with a customer face to face. Be respectful, apologize if you have done wrong, and ask what you can do to fix it. Whether you do or not is a business decision, ask Rush Limbaugh how that is working out for him?